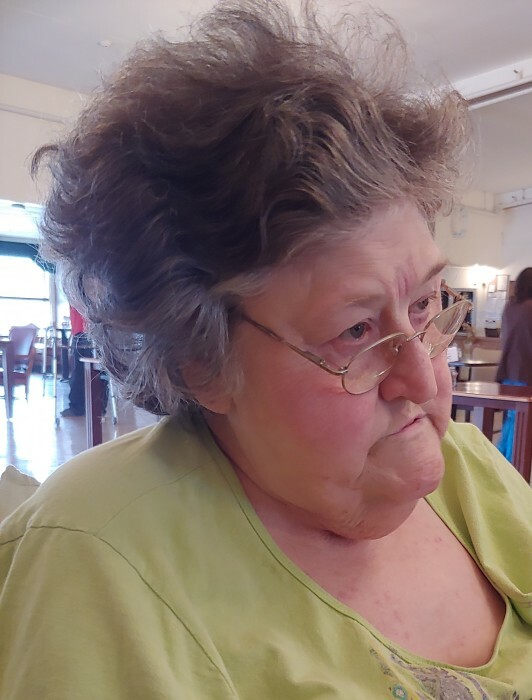 Norma Kathryn “Kathy” Holmes, age 72, of Centralia, Illinois, passed away at 3:18 A.M. on Saturday, April 6, 2019, at Fireside House in Centralia, Illinois. She was born on May 2, 1946, in Iuka, Illinois, the daughter of the late Roscoe and Grace Ethel (Thompson) Silvey. She married James C. Holmes in 1986 in Tennessee and he preceded her in death. Mrs. Holmes is survived by her loving daughters, Debbie Bivens and husband David of Odin, Illinois, Donna Mauney of Centralia, Illinois, Michelle Patrick and husband Jimmy of Harvest, Alabama and Melinda Tripp and husband Tim of Belleville, Illinois; nine grandchildren; three great-grandchildren; brothers, Robert Silvey and wife Mabel of Centralia, Illinois, Raymond Silvey of Odin, Illinois and Xonnie Silvey of Odin, Illinois; three nephews and one niece. In addition to her husband, Mrs. Holmes was preceded in death by her parents, son, Ralph Chandler, Jr. and infant sister, Edna Silvey. Mrs. Holmes was a member of the Iuka United Methodist Church in Iuka, Illinois. She enjoyed helping people and no one was a stranger to her. She loved to sing, especially gospel music. She cherished the time she spent with her family. Mrs. Holmes was a Certified Nurse Aide at Odin Health Care Center. She graduated with Salem High School’s “Class of 1964”. She has lived most of her life in Centralia, Illinois. A Celebration of Life Services was held on Tuesday, April 9, 2019, at First General Baptist Church in Centralia, Illinois, with Pastor Bryan Bennett officiating. Inurnment will be held at a later date at Jones Cemetery in Kinmundy, Illinois. In lieu of flowers, memorial contributions may be made in Mrs. Holmes’ honor to the Jones Cemetery in Kinmundy, Illinois and will be received by the Moran Queen-Boggs Funeral Home in Centralia, Illinois. Please view the online obituary, send condolences or share memories with Mrs. Holmes’ family at www.moranfuneralhome.net or on the funeral home’s Facebook page.